There are several “big” decisions we will make when deciding what to buy for our little ones and one of those is what type of mattress to purchase for them. Some of us in those early months decide to co-sleep, others have a Moses basket set up near the bed, and some have cots that either connect to our bed allowing easy access to our babies in the night or are self contained. We all have our preferred way which works uniquely for us as a family unit. There will come a time however, whether it be at the beginning of our parenting journey or further down the line, when your little one will need a mattress all of their own. Both Jess and Sophia started life in a Moses Basket by the side of our bed. They then had a cot and stayed in our room until they were at least 9 months old. I personally embrace the idea of co-sleeping and we did on occasions have the girls in with us, but because of our own personal circumstances at the time, it wasn’t something we did on a full-time basis. When we first had Sophia we were very short of money. We were living in France and all available funds were being ploughed into the venture we had there. 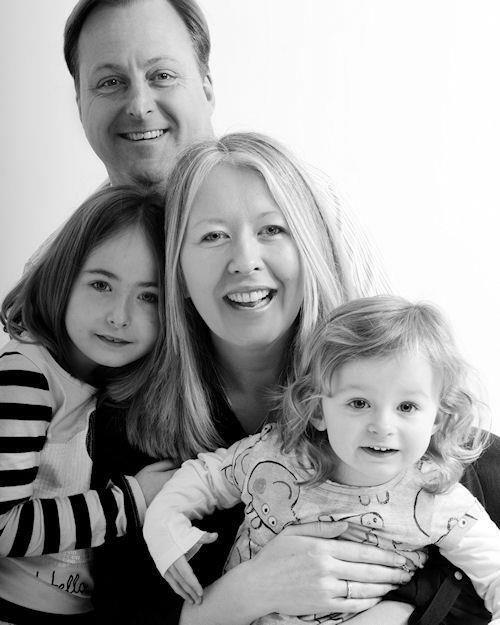 Sophia was conceived unexpectedly after about 3 years of trying to conceive. We therefore relied upon many hand-me-downs and donations from family and friends. One thing I’m not is proud, and I was exceptionally grateful of what people gave us. However, there were certain things we did buy new; a mattress (both for the Moses, cot and toddler bed), our 3 in 1 travel system for Sophia and our pushchair & bigger car seat for Jess. As time passed my knowledge and interest in parenting and also the different products available evolved and grew, so that by the time we returned from France my feelings on many things had changed. I was much more aware of natural, organic and Eco-friendly products and this knowledge continues to grow daily. When Sophia graduated to her “Toddler Bed” which Daddy had made for her, it needed a mattress. We hadn’t bought a cot bed for her. I personally couldn’t see the point of putting a small baby in such a vast space and we always had a cot divider in her cot so that she never seemed lost in such a vast expanse of space, so this meant investing in another mattress for her lovely new bed. Therefore choosing a good quality, breathable, chemical free mattress was really important. I came across “Natural Mat” on the internet and liked the fact that they were based in Devon not far from us in Dorset. The mattresses were hand-crafted and from the website they looked fabulous quality. Yes, they were more expensive than others on the market but this was an investment for a few years and if we were to have any more kiddywinkles then this would be used for them too. The Coco Mattress was the one we bought for Sophia and her toddler bed. It is great for babies and children. It was Natural Mat’s first handmade mattress and named “The Coco Mat” due to its ingredient of coconuts. 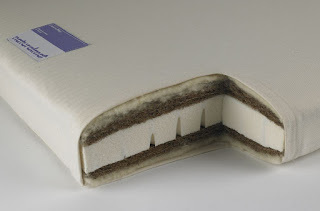 These mattresses are the only UK mattresses made with certified organic coir (coconut fibre). As it is the most breathable mattress Natural Mat offer, it’s ideal for babies. 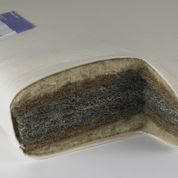 It is made with 100% pure organic fillings offering gentle support and good ventilation and insulation. The mattress is naturally springy and supportive, free from PVC or synthetics and non-toxic. It is made with certified organic coir from the husk of coconuts and organic lambswool which is sourced from local farms around Devon and Dorset. These farms are all certified organic by the Soil Association. 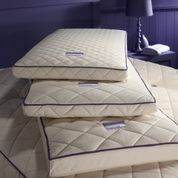 The wool is hypo-allergenic through the use of essential oils of lemon, eucalyptus and lavender which also make the mattresses anti-dust mite. The mattress cover is 100% pure unbleached cotton, removable and machine washable. This mattress is suitable for newborns and also great for older babies offering medium support, great hypo-allergenic and breathability benefits. It is made of certified organic latex and coir, certified organic lambswool, and free from synthetic materials and PVC. It is anti-bacterial, has long lasting orthopaedic support and the mattress cover is made from 100% pure unbleached cotton, is removable and machine washable. 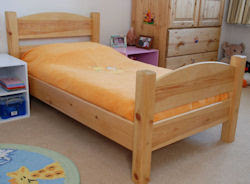 This firm mattress is excellent for older babies and heavier children. It gives firmer support but still with great ventilation and spring. The mattress is made from needled mohair tufting, and certified organic coir. It has superior spring from horse tail hair and is free from polyethylene, PVC or synthetics. The middle of the mattress is made from a blend of horse tail and mane hair held together with natural latex. This makes the mattress extremely springy and because of its ‘wicking’ properties it draws moisture away and keeps the mattress well ventilated. It then has a layer of organic coir either side of the horse hair. The mohair used in these mattresses is from Angora goats and is renowned for its softness. As with all Natural Mat’s mattresses the mattress cover is made from 100% pure unbleached cotton, it is removable and machine washable. This mattress offers great support, comfort and breathability. The Cashmere Mat is the perfect baby mattress which is safe, provides soft support and is extremely breathable. As well as being an ethical and safe mattress the organic coir, mohair, latex, cashmere and lambswool help to make this mattress one which insulates and keeps children cool and is extremely comfortable. 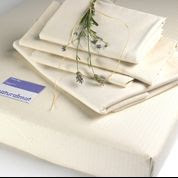 This is Natural Mat’s new organic Travel Mat, a mattress cover which is an economical way of turning your baby’s current mattress into an organic one. 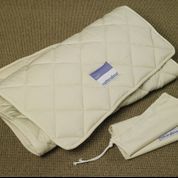 It is a lightweight, quilted mattress top/cover and is perfect for travelling with your baby. It provides a comfortable natural fibre overlay to your existing mattress which is natural, breathable and helps to regulate your baby’s temperature which in turn helps with their sleep. The Travel Mat contains organic lambswool treated with essential oils of lavender, lemon and eucalyptus offering protection against bed bugs and dust mites. It is machine washable and completely chemical free. Natural Mat also make adult mattresses in the options above, they sell furniture, bedding, clothing and toys. Their mattresses aren’t the cheapest on the market and you can get cheaper equivalents of the “Coco Mat” but having been hand-crafted with love using the best and highest quality materials, you definitely get what you pay for. They all have a 5 year guarantee and if you buy one of their mattresses it’s certainly an investment. For us it was one that we made initially for Sophia as a toddler and it’s now being utilised again by little Jess. In my mind it has paid for itself. 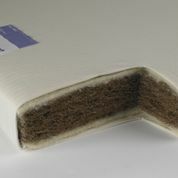 If you would like to know more about the mattresses Natural Mat make, they have a very informative website www.naturalmat.co.uk. They are also great at answering any questions you may have over the telephone. I remember doing this myself before I bought our mattress and they were extremely friendly and helpful. 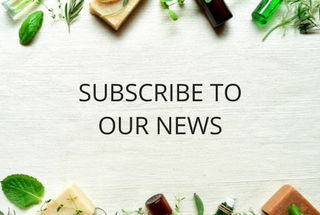 They have a Facebook page: https://www.facebook.com/Naturalmat and you can also follow them on Twitter. I'd like to express my sincere thanks to Marie Taylor at Natural Mat who kindly supplied me with photos and further information, which helped in writing this blog post. It was most appreciated. Sometimes eco friendly mattresses are expensive however this is not always the case. There are places that sell a natural rubber crib mattress for a price that makes it easier to invest in this healthier option. People who want their home to be a green place should definitely consider this option to the chemical treated mattresses that can cause illnesses.